This Everything Aquatic Blog post comes from the the forum board thread: Omega One brand fish food. This post has been edited with both added and deleted information. Posts from the original thread are began with each author for ease of following the flow of comments, information. I originally came here to ask a question but a quick search revealed what I wanted to know - that Carl and others think this is a quality food. Rather than ask a question for which I already have an answer, I thought I'd just mention this for anybody that might benefit. I noticed that an online retailer was selling specialized foods for livebearers that was formulated more towards the herbivorous side, containing vegetable ingredients such as spirulina. I already feed Hikari Spirulina Brine Shrimp, which my fish absolutely love but it's a treat more so than a staple diet. Later, when I was at Petsmart getting some cat food I asked the lady and she said that corporate has mandated they feed their livebearers Omega One brand Veggie Rounds. So I took a look at it and compared it to some of the foods in the catalog, like Tetra Veggie Crisps. The top 5 ingredients in the Omega One food were whole kelp, spirulina, whole salmon, black cod, and whole herring. Wheat flour was the 7th ingredient listed and in fact, the ONLY two "filler" ingredients in the food were wheat flour and wheat gluten. Outside of the 7 ingredients I just mentioned, the rest of the ingredients were either additional seafood ingredients (ie. krill), added vitamins, or coloring. The Tetra food, by comparison, has the following top ten ingredients: Fish Meal, Dried Yeast, Cornstarch, Shrimp Meal, Wheat Gluten, Ground Brown Rice, Potato Protein, Dehulled Soybean Meal, Fish Oil, and Algae Meal. It also contains MILK (?!?!?!) and 3 ingredients I recognize as preservatives. There's a half dozen artificial colorings and some things that I have no idea what they are for, like Cobalt Nitrate Hexahydrate. What was somewhat disheartening, after digging deeper, was that the ingredient lists some of my favorite food brands (like the Hikari Micro Pellets I FINALLY found for my neon/glo-lite Tetras) looked a lot closer to the Tetra food than the Omega One. The micro pellets, for example, contains not only wheat fillers but corn as well. All of that said, though, I have to tip my hat to Petsmart if what the sales associate told me is true. The big box stores sometimes get the reputation of being "puppy mills" when it comes to fish, and sometimes rightfully so. But it sure looks like to me that they're feeding their fish one of the better foods available instead of just using the cheap stuff. While I still feel Hikari is a much better brand than Tetra (based in part on feeding trials where Tetra did not do well when compared to many brands), Hikari has also done a good job of marketing, thus convincing many that Hikari is the best of the best when often they are not. As for fillers, some are needed (such as roughage), and what ingredients lists often do not show is the quality of the source. Hikari for instance uses regular committed sources, while Tetra goes for the lowest bidder at the time. Finally, Hikari also does a better job than many foods at 'upping' their food quality with "minor" ingredients as well as research & testing. I do agree that Omega One is "one of the best brands", my only complaint is they use very much the same ingredients (albeit quality) for the entire line, this is particularly noticeable with the Omega Veggie Flakes where Spirluina & other vegetable content is not as good as products such as the superior HBH Veggie Flake or Spirulina 20 Veggie diets (unless this has changed sine the last time I checked). Also (& not to seem bitter), Omega was originally marketed via specialty stores only that in turn spent a great deal of effort in promoting their product. After achieving much public attention of their product via these specialty stores effort, Omega Fish foods ceased sales to these store and is now primarily a mass market fish food brand (it is even found on Amazon, which has a terrible reputation of selling cr## aquarium products with no product knowledge to back them up). This of course does not make Omega a poor product, as I have used and tested it extensively (and still recommend it in my fish nutrition article), I just have some ethical issues with the company and I am attempting to explain why PetsMart promotes this product (in other words PetsMart and PetCo are not doing this out of the "goodness of their hearts", rather these foods are provided to these stores as part of a marketing plan). Yeah, I didn't mean to make it sound like Hikari was "as bad" as Tetra. I just noticed that their ingredient lists looked more like Tetra than it did Omega One. I also realize that this varies by individual product as much as it does brand in a lot of cases. A good example is Aqueon, who makes a few flakes with artificial color enhancers as well as most flakes without. 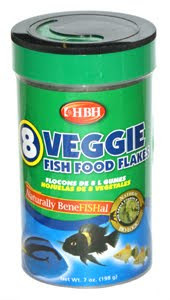 FYI, I'm not using Veggie Flakes, I'm using Veggie Rounds, which are similar to the sinking wafers you would feed to pleco only thinner and smaller. Unfortunately, I don't have access to HBH or Spirulina 20 here. We only have 3 LFS. 2 of them sell basically all the same foods as the Petsmarts/Petcos. The other LFS makes and packages his own food and since I don't know anything about it really, I haven't tried it. Finally, there's no need to apologize for sounding bitter. That IS pretty poor on their part. They used the grass roots guys to do the heavy lifting and then turned around and cashed in with a bigger distribution channel. It's especially bad if they just used the specialty stores to avoid having to shell out a lot of money for marketing. I've used Omega One Veggie Rounds before too! They definitely have some of the better ingredients out there. Right now I'm using HBH Algae Grazers. After I got the pleco, I decided that the little can of Veggie Rounds I had before wasn't going to last long. The Algae Grazers come in a nice resealable bag. The beginning of their ingredients list is Spirulina Algae, dehydrated alfalfa mean, pea power, soy flower... and on and on. There are a lot of vegetable powders in it, not sure if that's good or bad. I believe I bought this at Petsmart. I'm definitely not a fish food expert but have done a lot of research around food ingredients, whether it's for my fish, my dog, or ME. Back during the "great dog food scare" (my brother lost his dog due to renal failure) I started watching closely - I was shocked to see so many ingredients that have no place in a dog's diet, like eggs, milk, and grain gluten. In my opinion, they're adding those things to increase the protein content in the cheapest way possible. Gluten has long been used in Asia as a meat substitute, especially in Japan. Much like they have soybean tofu, they also have gluten-based foods that have similar texture. That being said, you wouldn't feed tofu to your dog (or fish) would you? Tofu is supposed to be consumed by people - we're omnivores. Vegetable protein extracts (or worse, synthetic vegetable proteins) aren't metabolized the same way by strictly carnivorous animals like dogs. In my opinion, I would watch out for protein "fillers" which on your list above would be soy. A veggie food should contain VEGGIES. When they're adding wheat gluten, soy, or other proteins derived from grains, they're NOT adding as much REAL protein that fish need which would be derived from obvious sources, such as...I don't know...FISH? However, the biggest problem with soy and gluten proteins isn't the above. Glutens are also the basic source of glutamate, what the Japanese call "umami". The 4 basic tastes are salty, sweet, sour, and bitter. The 5th taste, umami, is what we call savory - the flavor produced by proteins and amino acids found primarily in meat. In several Asian cultures, especially where Buddhism was prevalent, there was a desire to experience umami without eating meat so foods using soy and gluten proteins became very popular. Of course, in the modern world it seems making things naturally is either too time-consuming, too expensive, or both. Some scientist somewhere found a way to synthesize umami by extracting the amino acids and then processing them into a salt. It's being used anywhere and everywhere we'll allow it, both in our food and our pets. The effects of MSG have been studied extensively and go well beyond the common stuff you've heard about, like migraine headaches for example. I'm sure all of us have heard people say that they're hungry again not 2 hours after eating at the all-you can eat buffet. The reason for that is because MSG effects insulin response, which causes your blood sugar to drop. That makes you hungry again despite the fact that you just ate. Rather than provide an incomplete list from my own memory, I actually Googled this so you can see. This came from the book “Excitotoxins: The Taste That Kills” by Russell Blaylock. M.D. I have also learned to watch for the following as they either can contain MSG or are related to MSG - malt flavorings or extracts, "natural" meat flavorings, soy sauce or soy proteins, milk-derived proteins such as whey, wheat proteins, and protein or enzyme "isolates". There are vegetables that are just naturally high in protein and thus "umami" which you'll find in Japanese food and also in fish food. One of them is nori - how ironic! I have a package of it. My ghost shrimp won't eat it. It just sits there in a gelatinous sludge until I vacuum it out. I too attended many Pet Food seminars (mostly for Dog and Cat Food when I was more active in this aspect of the pet industry); it is amazing what can and does go into many pet foods and that you can produce the "Guaranteed Analysis" of proteins, ash, etc. with some pretty poor ingredients (such as old leather shoes in one example I recall). The only part of your excellent lesson I do not quite follow is about "nori". Were you stating this is the same as MSG? Of coarse it depends upon the fish or other animal you are feeding as you would not expect your cat to thrive on alfalfa while your horse would not do very well even on the best brand cat food available. 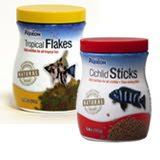 I am also curious as to the Aqueon foods you found with artificial color enhancers, as this is Aqueon's claim to only use natural ingredient such as "Natural Astaxanthin" & "Marigold Powder" found in their Cichlid Sticks and Tropical fish food flakes. Of coarse what a fish food manufacturer claims and what in fact is the reality of their product may be a gray area, however I personally have not seen this with Aqueon while I have with Omega (as an example, Omega's Veggie flake is not really a true Veggie Flake). Sorry if that was misleading. I was attempting to say that the largest variety of natural, savory flavors come from animal-derived proteins/amino acids. However, it's not necessary to use artificial flavorings like MSG to experience umami without meat. Many vegetables contain glutamates, like tomatoes and potatoes (actually, most MSG production today starts with the fermentation of beets). Mushrooms are also naturally savory. However, some vegetables are extremely high in natural umami. It's no coincidence that nori seaweed is so prevalent in Japanese cuisine. 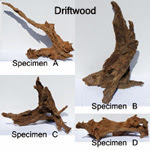 In terms of amino acids/proteins, nori is one of the most "savory" plants in the world. Sorry I made it confusing before. I should have just said "nori is one of the best fish food ingredients I can think of." By the way, another big concept in umami is the "layering" of flavors because some savory flavors are subtle and certain proteins combined with others create more interesting combinations. A good example would be slapping a slice of cheese on a hamburger. The hamburger by itself is savory. So is the cheese. However, putting them together produces a more complex flavor that the two individually can't provide. It's the reason why a sushi roll has fish in the middle and nori on the outside. My fish get to experience this a few times a week when I feed them Hikari Spirulina Brine Shrimp. Superior performance to Hagen or Marineland. Hi - just wanted to add a thought. 1-2 times a week I've been adding homemade food to my tank. This contains cod, shrimp, spinach, spirulina. It is affordable to make & freezes well. Interestingly, the recipe called for gelatin (which I used) as a binder. any advice on an alternative to the gelatin. I had no idea about the MSG!